Liquid Ring Vacuum Pump for Food Processing- Vacuum Pump - EVP Vacuum Solution! Vacuum is a part of today’s industrial life. It is difficult to imagine any chemical industry, food processing industry or process equipment that does not use vacuum to improve process efficiency. With the progress of technology, the application of vacuum is increasing day by day. The meaning of vacuum refers to the state of a gas below an atmospheric pressure in a given space, which is a physical phenomenon. In addition, it offers great advantages in heating and oxygen sensitive materials. There are many vacuum-dependent applications in the food industry. The vacuum required by the food industry is in the absolute vacuum range of 1-600 millibars (relative to the vacuum pressure measured by absolute zero vacuum), and is applied to the transportation, processing, filling and packaging of food, clean operation and the creation of appropriate sanitary conditions. 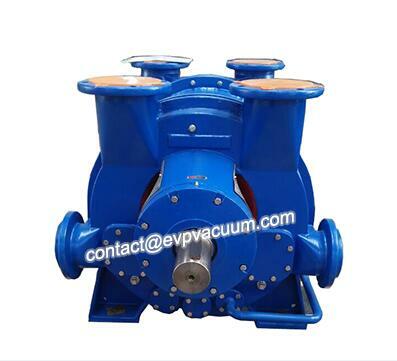 The liquid ring vacuum pump is used to generate the required absolute vacuum pressure. Fractionation is used to separate components whose boiling points are close to each other. For example, fractional vacuum distillation is used to separate fatty acids or their esters. 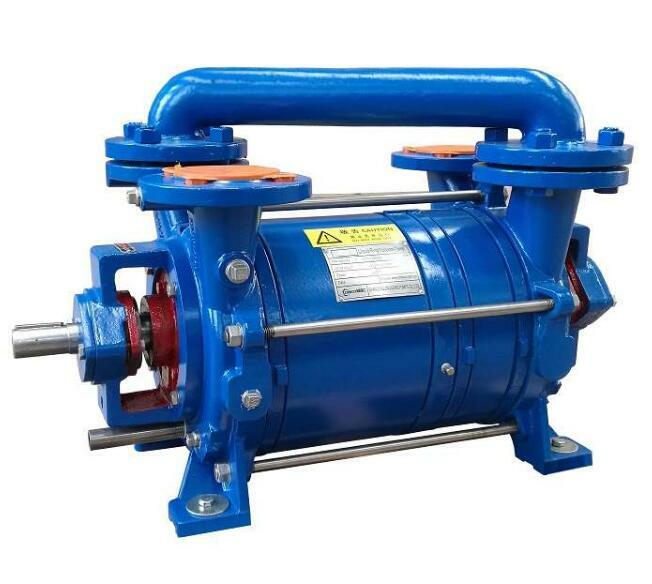 Multistage steam ejector system or combination of steam ejector and liquid ring vacuum pump is used to produce the required vacuum level of 10 MB absolute value. The water discharged to the steam condensate or liquid ring vacuum pump of water purification equipment usually contains a large amount of fatty acids. Dry vacuum pumps are not suitable because the oil components may start to carbonize. The vacuum required for the filter product depends on the thickness and porosity of the cake. The pressure drop of thick filter cake is high and the absolute vacuum level is 300 millibars. The pressure drop on the porous cake is quite small, making the absolute vacuum level of 600 millibars suitable. 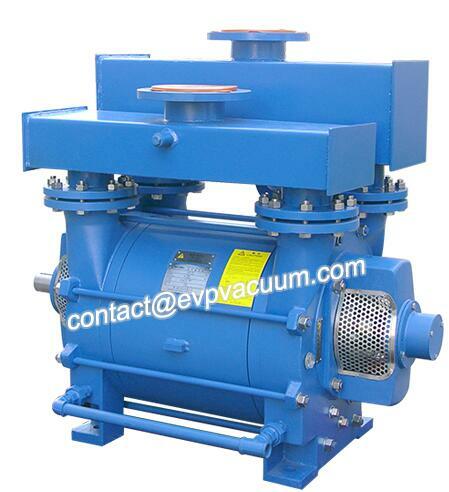 The liquid ring vacuum pump is usually used for vacuum filtration. For vacuum drying, the initial absolute vacuum level of 20-50 millibars is required, and the final absolute vacuum level is about 1-4 millibars. As the filtration process proceeds, water must be sucked deeper and deeper from the hole of the cake, and the pressure drop on the cake increases. The condenser (plate or brine tube heat exchanger) located upstream of the water ring or dry vacuum pump must have sufficient capacity, large size and deep cooling facilities to remove the maximum (water) steam. Plate or salt tube heat exchangers are usually used for this purpose. In order to prolong the shelf life of food and maintain basic nutrients, vacuum-assisted freeze-drying (in which water is frozen and sublimated) is applied. The initial vacuum should be about 20-50 MB absolute value to avoid sudden formation of a thick ice layer, making further sublimation almost impossible. 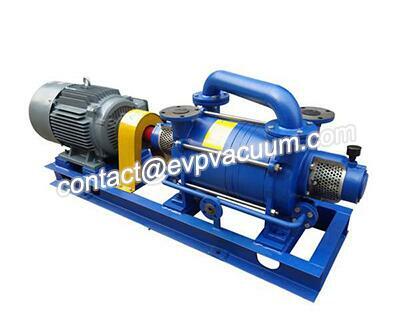 Then the absolute vacuum can be gradually reduced by increasing the capacity of the commonly used dry vacuum pump (screw pump). For vacuum packaging operations, the absolute vacuum required may not be too high (up to 100 mbar). Excessive vacuum increases the risk of food being sucked into the vacuum system. Vacuum cans between vacuum pumps and vacuum packers help to minimize fluctuations in vacuum and maintain a constant vacuum level, since speed is essential in vacuum packaging operations. The common vacuum sources used in food packaging operations are oil lubricated rotary vane pumps, oil ring pumps or Venturi systems with compressed air or nitrogen as power fluids, which are part of the packaging machine.